We’ve gotta hand it to Hyundai’s military grade test mule camouflages. No matter how many spy shots emerged, the changes that the Elite i20 facelift comes with have been kept, quite literally, under the covers. But at the Auto Expo 2018, the guesswork has been laid to rest and Hyundai has finally launched the updated avatar of its premium hatchback. Prices haven’t changed significantly when compared to the outgoing version, which set you back between Rs 5.29 lakh and Rs 9.15 lakh for the petrol and Rs 6.67 lakh and Rs 9.03 lakh (all prices are ex-showroom Delhi) for the diesel. The new petrol i20 will start from Rs 5.35 lakh to 7.90 Lakh and the diesel motor car range starts at Rs 6.73 and goes up to Rs 9.15 lakh. Well, yes, but while we were expecting something that’d look more like the i30, the changes are considerably subtler. The first change is the new Hyundai family grille that we’ve been familiarised with, courtesy the Hyundai Verna and the Xcent. The front bumper gets a slight revision and includes tweaked fog lamp enclosures that look a touch sportier. 14-inch wheels still come as standard while higher variants get 16-inch alloys, with the latter getting a new wheel design, in line with what’s been on offer with the European-spec Elite i20. At the rear, the one big change is sure to polarise opinions. While the Elite i20 now gets a cool set of LED tail lights, the new bumper is a direct lift from the updated Xcent, which certainly looks more distinctive but isn’t as clean as it was earlier. With the bumper revision, the number plate also moves up onto the boot lid. Well, we’ll have to take it for a spin to attest to that but Hyundai has carried forward the existing range of engines i.e. a 1.2-litre petrol (83PS/114Nm with a 5-speed manual gearbox) and a 1.4-litre diesel (90PS/220Nm with a 6-speed manual gearbox). The 1.4-litre petrol (100PS/132Nm) has now been dropped because the Elite i20 finally gets a more sensible petrol AT. While we speculated that the new i20 would be launched with a new CVT automatic transmission, Hyundai says this transmission will only be launched later, in May. Power and torque output remains identical to the manual variant. Updates in the cabin include new seat upholstery and like before, you still have a beige-black two-tone cabin. The design for the air-con vents at the centre and the switches in between them have also been tweaked a bit. The 7-inch touchscreen infotainment system has been carried forward as well and still offers Android Auto, Apple CarPlay and MirrorLink support. This setup can now be had with the automatic Elite i20 as wellsince the transmission is no longer limited to the Magna variant. Like before, the Elite i20 faces the Maruti Suzuki Baleno and Honda Jazz, along with the ageing Volkswagen Polo. With the introduction of the 2018 Maruti Swift, the competition stretches further. Its value proposition remains the same, even after the update. The Elite i20 is still a premium, feature loaded hatchback that’s spacious enough for a family of four. 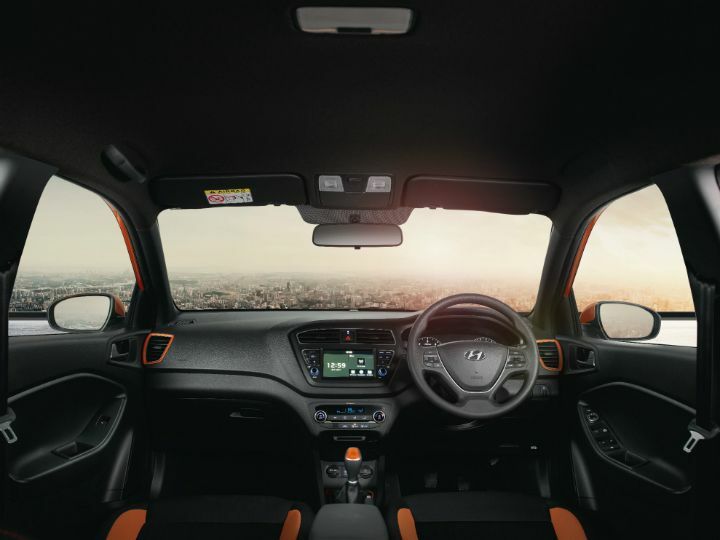 A major draw for the Elite i20 remains the premium cabin quality and the Hyundai brand backing. Now that the 1.2-litre petrol gets a CVT automatic, the Elite i20 is a stronger rival to the Baleno and Jazz CVTs.